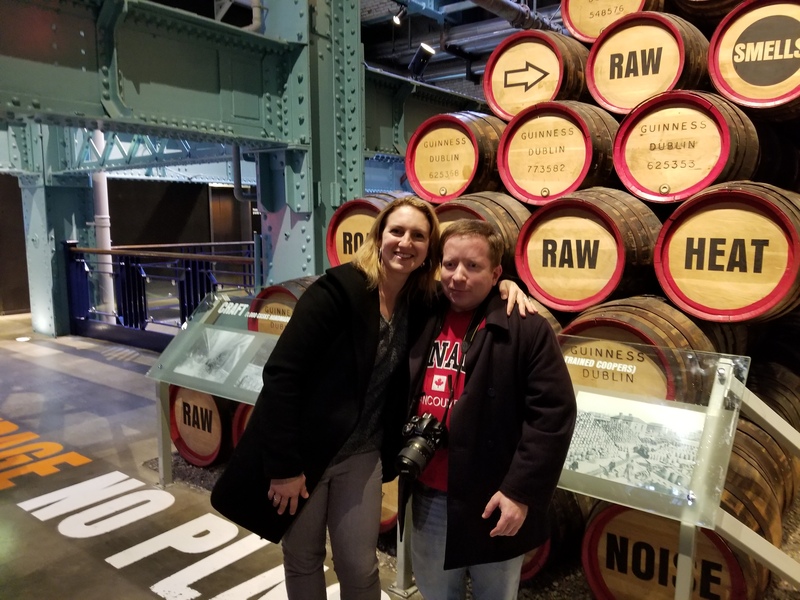 Me with a friend at the Guinness Storehouse, where I learned how Ireland’s most celebrated beer brand is brewed and then enjoyed a complimentary pint. Sometimes when I make my first foray to a country, I don’t find an opportunity to karaoke there. On rare occasions, I’ve even been known to travel to a country twice without managing to add it to my World Karaoke Tour. That occurred with Italy, where I finally sang (in Rome) on my 3rd visit to that country in November 2015; and it was also the case with Czechia (formerly known as the Czech Republic), where I finally sang (in Prague) during my 3rd journey to that country in September 2017. As of mid-February 2018, another nation for which my initial 2 journeys to it had proved karaokeless was Ireland. For the background of how I got to that point, see this post. So that month, during the long weekend that the U.S. celebrates as Presidents Day weekend, I returned to Ireland’s capital city for the sole purpose of performing karaoke there! During the daytime hours of my latest sojourn in Dublin, I kept myself busy, focusing on a couple of attractions that appealed to my passions for history, culture, and general knowledge. First, I toured the Guinness Storehouse, a massive facility adjacent to the St. James’s Gate brewery (the largest brewery of Guinness stouts). 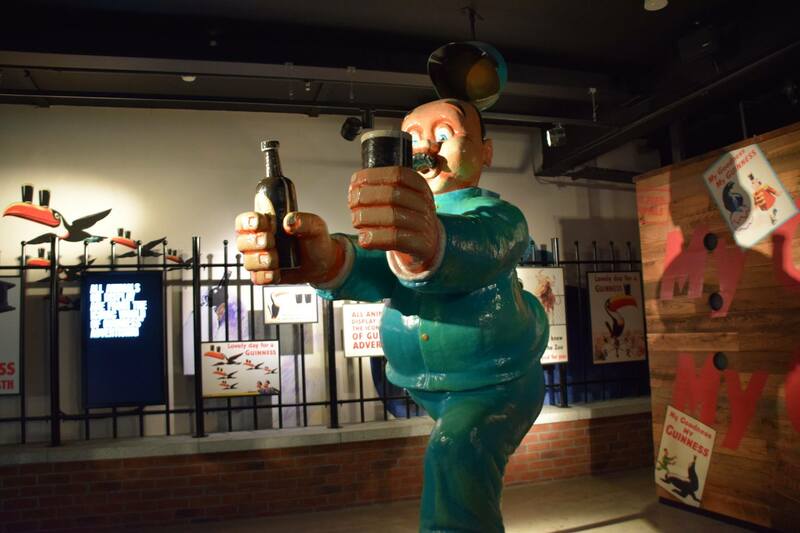 The Storehouse presents the history of the beer brand that dates back to 1759, and also explains comprehensively the processes involved in the production of the company’s beverages. Included in the price of admission is the opportunity to enjoy a pint of one of those beverages, on the house – an opportunity of which I naturally took advantage. Some classic examples of Guinness advertising, on display in the Guinness Storehouse.